I thought this was a march to saves the lives of children. 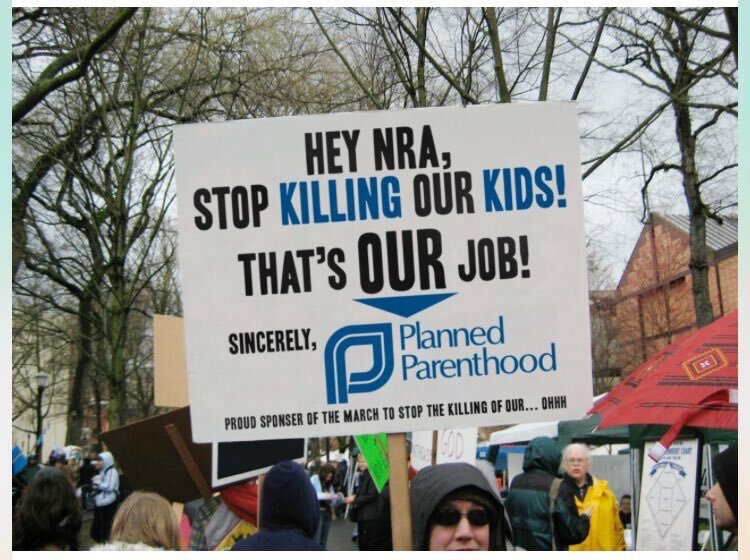 So what is group like Planned Parenthood doing there? There have been over 55 million abortions in the United States since 1973. Planned Parenthood is responsible for a very high percentage of them. The NRA doesn't contribute anything to that sad statistic. So when it comes to having the blood of dead children on their hands, nobody beats Planned Parenthood.